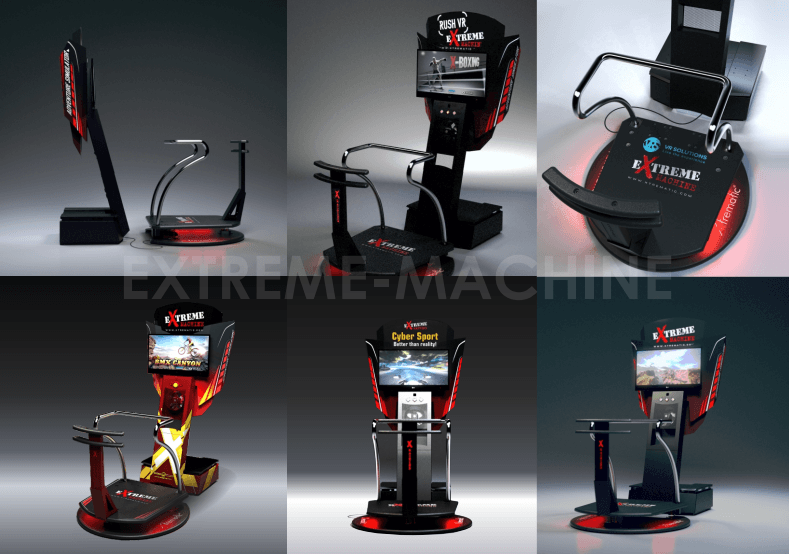 Start VR Business with Extreme-Machine! 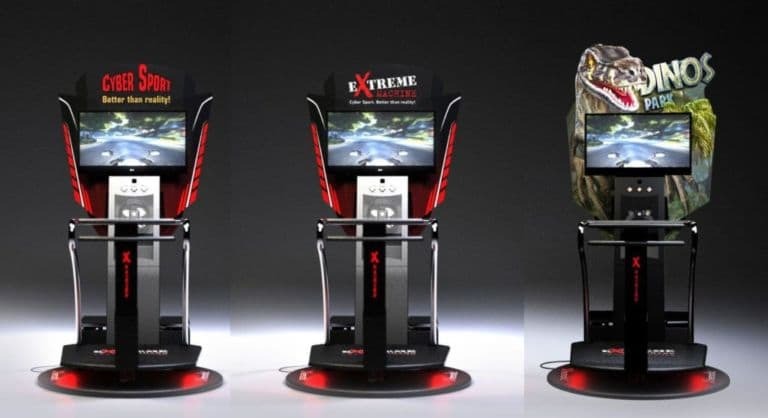 The Xtrematic team managed to combine all these requirements, add a modern design and a reasonable price, and create a virtual reality simulator X-Machine, which pleases more than 300 of its owners around the world. 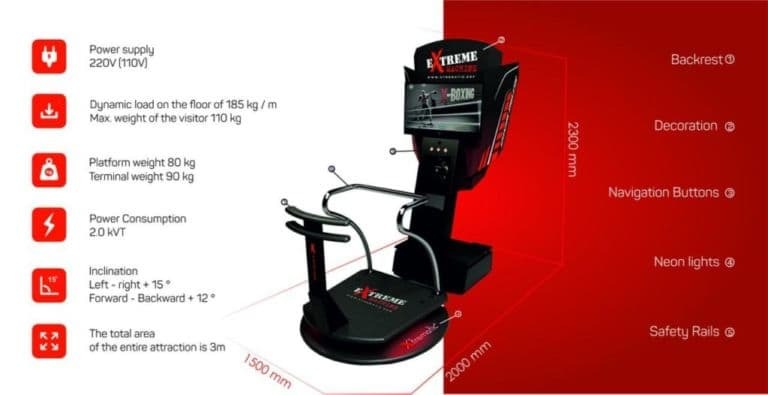 X-Machine occupies a small area of 3 square meters, which makes it possible to save considerably on rent, compared with massive attractions, which take up a lot of space and consume many times more electric power. Our attraction is easy to transport from place to place thanks to the modular system and the simple assembly: X-Machine transportation in unassembled form requires a space of 140x125x98 meters, and the attraction assembly takes no more than 30 minutes, which is very important for working at various events. X-Machine easily fits into any location! Shopping and entertainment centers, virtual reality parks and arcade zones, hotels and clubs. Thanks to the possibility of integration with various types of coin, token and bill acceptors, our simulator becomes completely autonomous. Just think a little – X-Machine earns while you relax! You do not need to control it all day, hire an operator and incur additional costs. 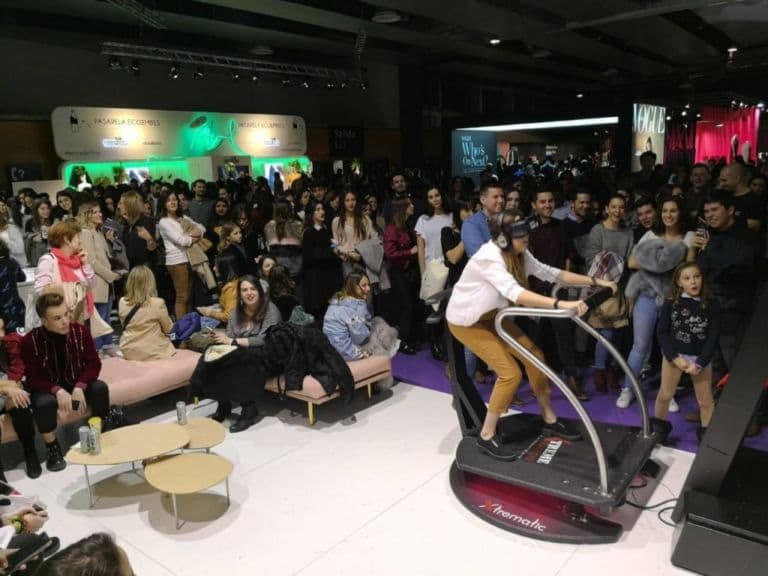 The simulator can be integrated with a single system of the park or arcade zone, the launch of the games will be carried out using swipe cards. Reliable hardware, ease of launch and a safe platform do perfectly work without monitoring 24/7. All you need is to check your email once a day and enjoy reports on the work of the attraction, the number of customers and the profits earned. 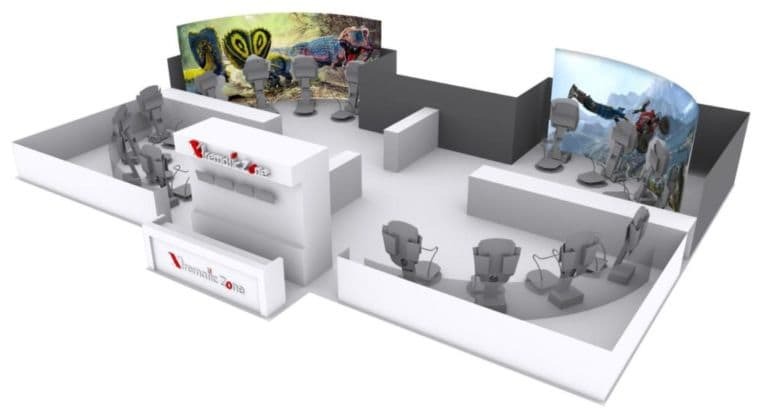 To personalize the simulator, we offer branding of the decoration and the simulator platform with your logo, the logo of a shopping center or the customer of the event. Such a step will definitely attract more visitors, serve as additional advertising and help promote your brand. It’s easy to start your own business. Take the first step to meet your dream.